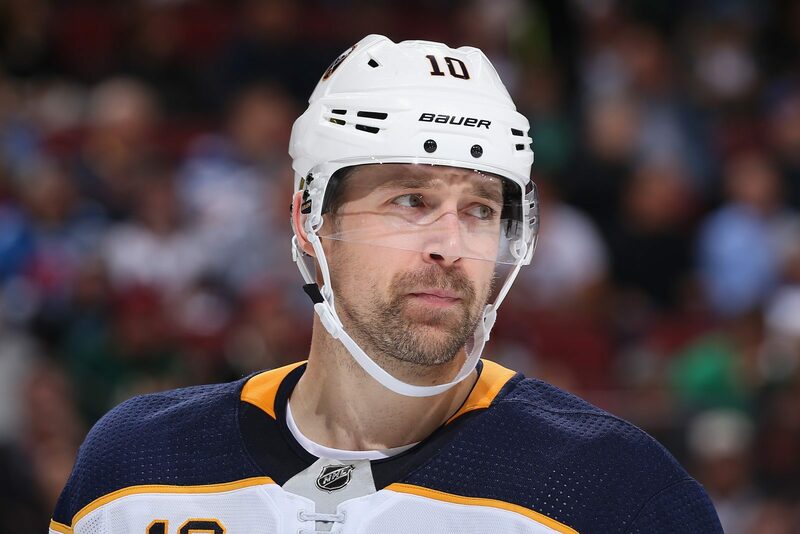 VANCOUVER — Patrik Berglund appears to have found peace after walking away from the Buffalo Sabres last month. In an interview published Friday, Berglund broke his silence to his hometown newspaper, Vestmanlands Läns Tidning in Vasteras, Sweden. The 30-year-old forward explained how he lost his passion and joy for hockey, which ultimately led to him leaving the Sabres and having his contract terminated. Berglund returned home and has ruled out the possibility of playing hockey again this season. Instead, he wants to focus on his mental health. After missing practice for what coach Phil Housley called an illness, Berglund was suspended indefinitely for failing to join the team on a two-game road trip to Washington and Boston on Dec. 15. Berglund was promptly removed from the Sabres’ website and cleared unconditional waivers Dec. 21, which led to his contract being terminated. He walked away from about $12.5 million over the next four years, including more than $2 million the rest of the season. Additionally, his departure left a hole in the Sabres’ lineup. Upon being acquired from St. Louis as part of the Ryan O’Reilly trade in July, Berglund was expected to contribute at center and wing. He could play in almost every situation, having scored 168 goals in 10 seasons with the Blues, including three 20-goal seasons. Berglund added that the NHL and its players’ association helped him following his abrupt exit. Shortly after the suspension was announced, Elliotte Friedman of Sportsnet reported that Berglund had been upset since arriving in Buffalo because he failed to turn in his list of approved trade destinations to the Blues on time. In the recent interview, Berglund said outwardly he tried to act as if he was content with the move. However, he struggled with the transition, which forced him to leave Sweden earlier than usual to arrange a move to Buffalo. Berglund had two goals among four points in his 23-game tenure with the Sabres. He is not ruling out possibly playing hockey again sometime in the future but has turned his focus to finding happiness. The Sabres have moved on. Housley declined to comment on the situation following Berglund’s suspension but spoke in greater detail about his former player following the morning skate Friday at Rogers Arena. A first-round draft pick of the Blues in 2006, Berglund has 26 points in 60 career NHL playoff games and had 17 goals in 57 games last season. He will surely have the opportunity to play professional hockey again, either in Sweden or the NHL. However, Berglund does not regret his decision to walk away.